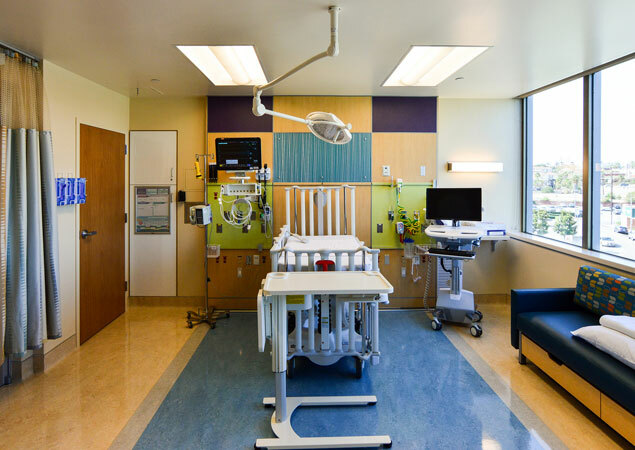 In the newly renovated Cherese Mari Laulhere Pediatric Intensive Care Unit (PICU) North Pod at Miller Children’s & Women’s Hospital in Long Beach, all 36 rooms are private, allowing patients and families to have personal space for rest and healing. 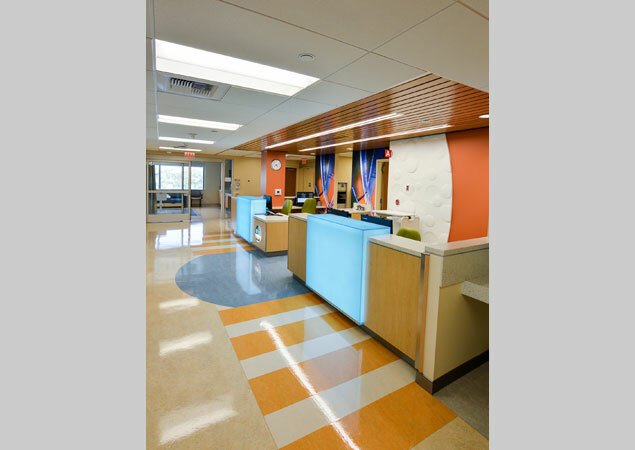 The RBB team created a warm, calming and soothing environment, while incorporating evidence-based design elements such as nurse stations adjacent to each patient room and sight-lines allowing for maximum visibility. 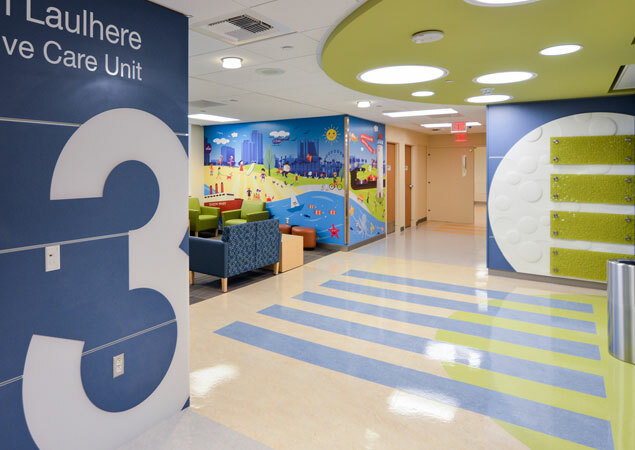 The new family-friendly waiting area provides ample seating, including child-sized tables and chairs, and a play area with games and iPadsTM for visitors to enjoy.